Caffè Nero has acquired the majority share of rival coffee brand Coffee#1, with a 70% ownership deal with the former owner, SA Brain. Coffee#1 first opened its doors in 2001 in Cardiff but has since grown to 92 locations across England and Wales (annual sales circa £30mn). 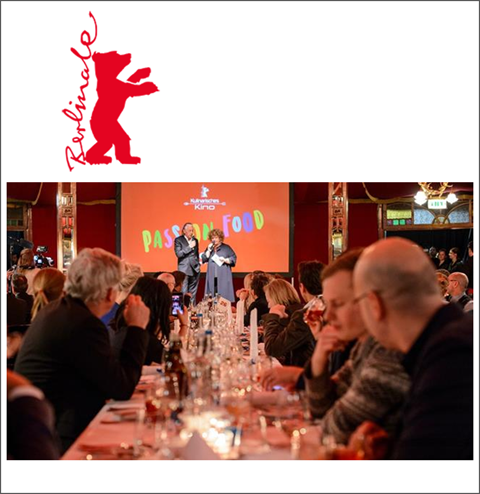 It offers a sizeable food and drink menu. Caffè Nero has 750 stores in the UK and over 1,000 internationally. It will include Coffee#1 under its growth strategy umbrella but under its own brand. 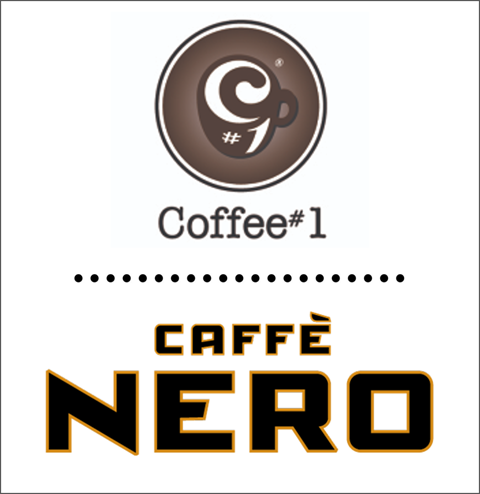 In 2016, Caffe Nero acquired Harris & Hoole from Tesco and Aroma from McDonald’s back in 2002 so Coffee#1 is the latest addition to the family of brands. Just Eat is now offering ‘bottomless brunches’ via delivery. For £48 for 4 people, you can now order buttermilk chicken burgers, chicken wings and halloumi fries with drinks from London’s Box Park Drum & Flats right to your door. There’s no need to worry about running out either, all you have to do is select #topup on the Just Eat app to get seconds. Non-alcoholic cocktails can also be ordered from the app for those consumers supporting Dry January. 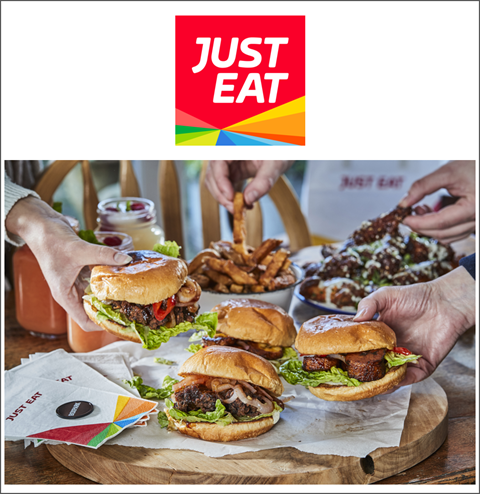 ‘Bottomless Brunch’ has been launched to celebrate Just Eat’s partnership with Box Park Wembley. 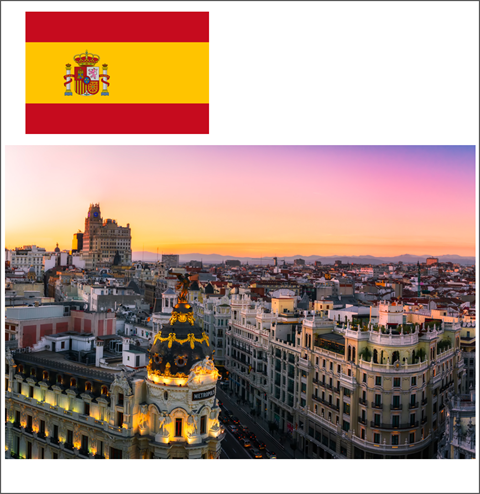 The Spanish economy is going from strength to strength. Among other factors, GDP growth continues to outpace the European average, 2.7% in 2018, ahead of Britain, France and Germany. Retail traffic has been boosted by higher investment in shopping centres and retail parks as well as higher tourist spending (+3% vs last year). Click here for 5 key tactical trends that are reshaping consumers’ retail expectations in 2019 >> These include 1. MAGIC POINT OF SALE Consumers want to browse, test and purchase in innovative new ways. 2. DEEP RETAIL In the world of big data, retailers need to know consumers better than they know themselves and offer customised offerings. 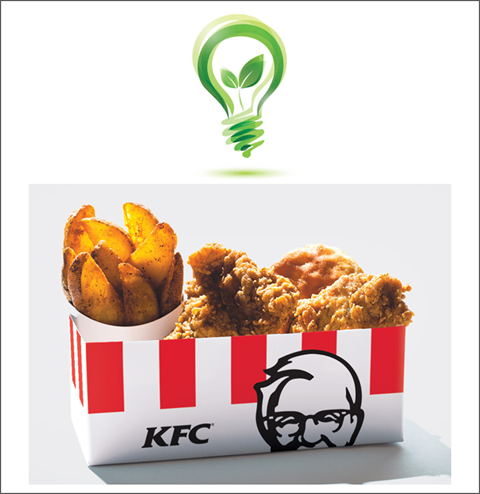 KFC has revealed its new global sustainability commitment. It aims to have all plastic-based, consumer-facing packaging recoverable and reusable by 2025. And as a global brand with more than 22,000 restaurants in over 135 countries, KFC is in a position to have a real impact. 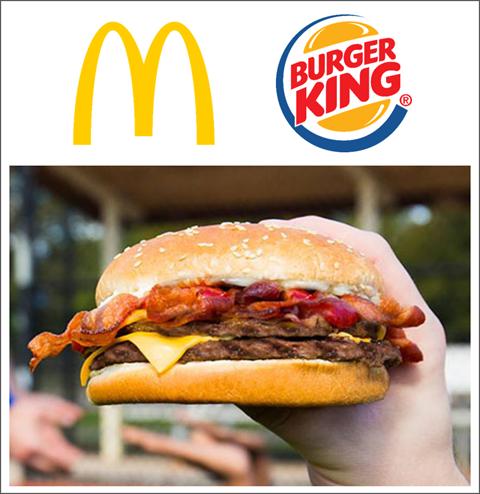 In addition, its parent company Yum! Brands will also source fiber-based packaging from certified or recycled sources by 2020. Some 48% UK consumers consider it important that eating out brands source environmentally-friendly packaging (CGA Brandtrak 2018). IGD has also identified Sustainability as a key trend to drive growth in food to go for 2019. 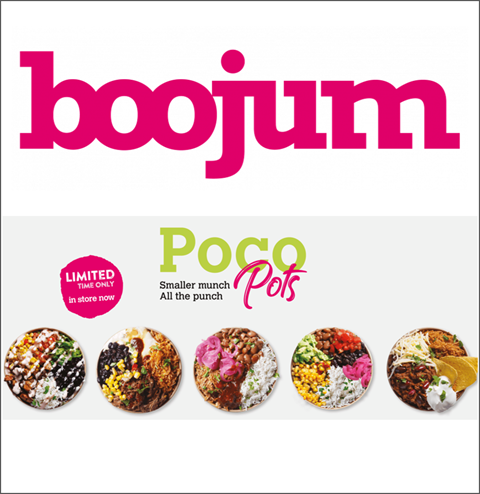 Fast casual chain Boojum has launched a new limited-edition range of Poco Pots – little (compostable) pots of its Mexican dishes with fixed combinations for easier ordering. Choose from for example the Carnitas (rice, carnitas, pinto beans, pickled onions, chipotle, salsa & sour cream) or the Chilli (rice, chilli, cheese, 3 nachos, sour cream) or the Barbacoa (Rice, beef, barbacoa, black beans, queso, sweetcorn salsa, chipotle). Established in 2007, Boojum is an Irish-based Mexican chain with about 20 locations in 5 cities across Ireland. 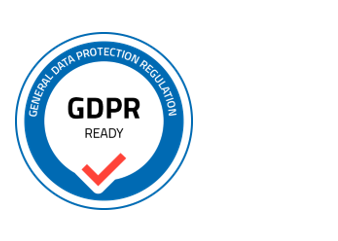 It was bought out last year by a partnership between David and Andrew Maxwell and Renatus Capital Partners. Domino’s sold over 535,000 pizzas in the UK (comparable to 12 a second over a 12-hour day) on the Friday before Christmas, the day commonly known as “Mad Friday” for partygoers getting into the festive spirit. Strong sales in the run-up to Christmas helped sales to grow by 5.5% year on year in the 13 weeks to 30th December, driven by the Republic of Ireland where sales grew by 7.5%. Domino’s benefited when there was a reason for a night in, crediting the Strictly Come Dancing final on 15th December for an online record, with sales up 25% versus the same day last year. 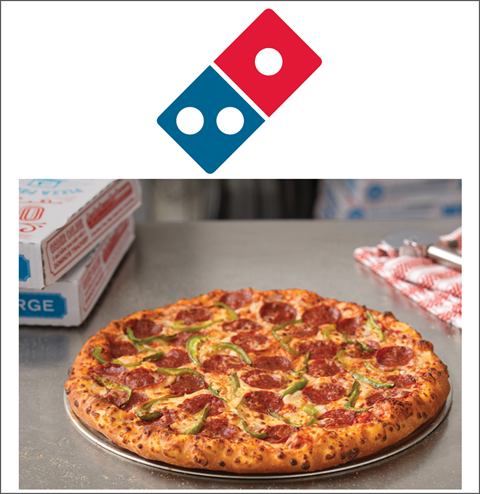 Domino’s sold 90m pizzas last year in the UK with a record 80% of sales online. 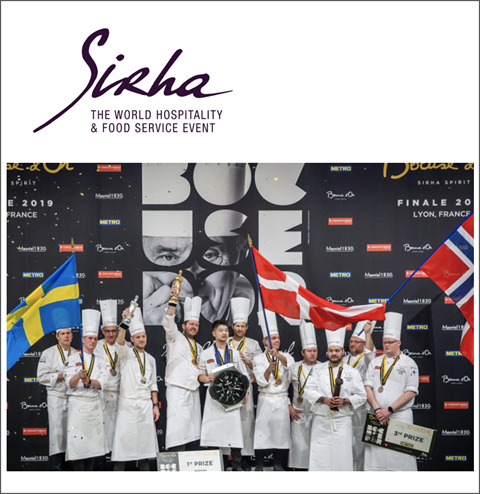 This week Sirha 2019, World Hospitality and Food Service Event, ended on a high with the final of the prestigious Bocuse d’Or contest. Twenty four of the most promising chefs in the world took part in two days of intense competition in order to try and win the trophy - the winner was Chef Kenneth Tof-Hansen from Denmark - click here to see the full list of competition winners >> Also worth checking out are the Sirha Innovation Awards and the 2019 Influences identified by Food Service Vision.